I am honored to be here today to discuss the annual resolution on â€œThe Situation in Afghanistan.â€Â I wish to extend my gratitude to all delegations who have contributed to the debate, and to all of the co-sponsors, whose collective work on this resolution reaffirms a unified commitment to shaping a peaceful future for Afghanistan. I would like to further express my appreciation to H.E. Peter Wittig, Ambassador and Permanent Representative, Mr. Daniel Krull, Counsellor of the Permanent Mission of Germany, and their entire team for their great diligence and efforts to chair the informal negotiations and coordinate the positions of member countries for the support of this resolution. Last year, in November, just after President Karzaiâ€™s re-election, he set forth an ambitious national agenda for the next five years.Â In his inaugural statement, President Karzai called for all who are willing to renounce violence and accept the Afghan constitution to join the peace process and embrace national reconciliation.Â He asserted the determination of the country to take the lead in ensuring security and stability with continued international support.Â He also committed to establishing a competent, clean, transparent government, promoting good governance, and fighting corruption.Â In his speech, the President reaffirmed the commitment of the Afghan government to focus on economic development, growth, and the well being of Afghan people.Â He set out the aim for greater regional cooperation in all areas, and finally expressed with appreciation the desire to further the partnership between Afghanistan and its international allies. The Presidentâ€™s national agenda marked a new beginning for Afghanistan to stand on its own feet. The commitments made highlighted the readiness of the Afghan government and the international community to embark on a transition to national leadership and national ownership. 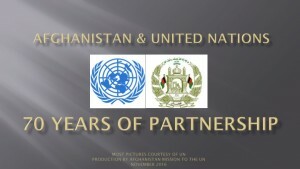 In January, the international community came together for the London Conference to align international support with Afghanistanâ€™s efforts regarding security, governance and development, as stated in President Karzaiâ€™s inauguration speech.Â This conference was an opportunity to establish concrete plans for transforming Afghanistanâ€™s commitments into realities. Through engaging with our international partners, mutual security goals were set and specific measures for tackling corruption, achieving national reconciliation, and improving the delivery of basic services were presented. In May, the Presidents of Afghanistan and the United States, with members of both governments, met in Washington in order to assess jointly the prospect of a successful new focus on Afghanistan.Â This meeting aimed to strengthen the partnership between the US and Afghanistan, and solidified the united efforts of the two nations for sustainable cooperation, peace and stability in the region. In June, The National Consultative Peace Jirga (NCPJ) jumpstarted our reconciliation process with aims to end the violence and unify our nation.Â By consulting with different leaders for ideas and proposals we began to align all peace efforts in the country. The Jirga included 1,600 delegates representing a wide variety of segments of Afghan society including both men and women from all over the country.Â The conference spawned a unified call to end the miseries of this war and move together toward peace. In July, the Kabul Conference hosted by the Afghan government and co-chaired by the United Nations marked an important step forward in the continued empowerment of Afghanistan to assume its leadership role, which is key for a successful transition process.Â It was the first time that high representatives of more than 70 countries and international organizations came together on Afghan soil.Â The conference furthered the international commitments made in the London Conference. The resulting agreement secured a significant increase in the amount of international funding that would be channeled through the Afghan Government, reflecting renewed support for national ownership. The conference crafted the Kabul Process, which is the new foundation for change through transition to full responsibility and leadership of the Afghan government.Â It also developed a new compact between the Afghan government, the Afghan people, and the international community. The Kabul Process also had a major focus on regional relationships, encouraging improved cooperation between all regional parties. At the conference, Afghanistanâ€™s National Development Strategy: Prioritization and Implementation Plan, was presented, which reflects the renewed commitment of Afghanistanâ€™s government to building a secure and democratic future. In September, we had our second parliamentary election, which, as the first Afghan-led election, represents a significant transition to leadership and responsibility in the hands of the Afghan people. This recent election included 2,556 candidates, 406 of whom are women.Â Millions of Afghans cast their ballots to choose 249 members of the parliament, shaping our nationâ€™s future by strengthening Afghan institutions and building momentum for stabilization.Â More than one million votes were discounted in this election, reflecting the seriousness with which the Afghan electoral institutions attribute to fairness in this election, and marking a courageous demonstration of regulating and protecting democracy. Throughout the year, the Government of Afghanistan made strong efforts to enhance and strengthen trust and cooperation with its neighbours and regional partners.Â The government sought to involve regional players not only in peace and security, but in trade, development, and economic cooperation.Â President Karzai visited China in March, India in April, Japan in June and Pakistan in September.Â He attended the 16th annual South Asian Association for Regional Cooperation (SAARC) summit in Bhutan in April. Important trilateral summits from the year include those with Afghanistan, Pakistan and Turkey in Istanbul in January, with Afghanistan, Iran and Tajikistan in Tehran in August, and Afghanistan, Iran and Pakistan in Tehran in January.Â Afghanistan participated in a quadrilateral along with Pakistan, Tajikistan and Russia in Sochi, and was a guest in the Shanghai Cooperation Organizationâ€™s meeting of the council of heads of states in Uzbekistan. As we speak, the fourth round of Regional Economic Cooperation Conference (RECCA) in Turkey is finishing, and through Afghanistanâ€™s participation, our government aims to promote economic cooperation with all countries in the region, international partners and financial institutions. The Economic Cooperation Organization (ECO) and the South Asian Association for Regional Cooperation (SAARC) have played important roles in strengthening the process of regional and economic cooperation, through measures such as facilitating regional trade and infrastructural connectivity. With our fresh start mapped out by President Karzaiâ€™s National agenda, and consistent help of the international community, this first year, our Year of Refocus, was one marked by hard work and rewarded by notable progress.Â Despite our busy calendar year, we have made substantial strides in the areas of economic growth and human rights advancements as we near our national goals. While challenges remain ahead, progress has been made in all areas including economic advancement, womenâ€™s rights, education, and health. Our average income has quadrupled since 2001, and government revenue in the past year surpassed one billion dollars for the first time. Women will make up over a quarter of our parliament after this election and are currently 18% of government employees.Â There are now more than 1,000 women in Afghan National Security Forces and we have ambitious plans to increase this number in the coming years.Â Women and girls now have equal access to education, and make up 37% of the 7 million students in Afghanistan. The 71% student enrollment rate is also a sign of our success in improving education in our country.Â We have built 4,000 school buildings in the last nine years and plan to build 2,900 more by the end of 2013. Furthermore, by providing basic health services to nearly 90% of our population, health care in Afghanistan has improved greatly. Our immunization efforts have helped millions of children, and infant and under five mortality rates continue to improve. 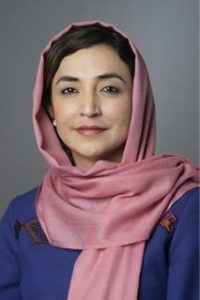 Important steps have been taken to promote good governance, rule of law, and fight corruption.Â The government of Afghanistan has progressed in this regard, including through establishing the Senior Appointments Panel and strengthening the power of the High Office of Oversight and Anti-Corruption (HOOAC). Last year, our commitment to good governance was demonstrated by the prosecutions of dozens of corrupt officials. Our fight against narcotics has seen progress over time.Â The number of Poppy-free provinces has maintained at 20, and there has been a major reduction in the production of opium this year. Meanwhile, our efforts to fight illicit narcotics continue as we work with regional and international partners on all aspects of this global challenge. Security is the most immediate and critical challenge facing Afghanistan, and is also the most basic building block of progress. The Taliban and its allies continue their attempts to increase insecurity and spread violence to new parts of the country. The violent campaigns of the Taliban and Al Qaeda have killed thousands of innocent men, women, and children. It has further destroyed our economy and what we have worked so hard to build throughout the last decade. Our aim is to stop this momentum and despite the challenges we continue to make important strides in the fight against terrorism. Â During this year, Afghanistanâ€™s partners and friends increased the number of forces and engaged to disrupt and defeat the murderous activities of the Taliban and Al Qaeda. As we meet here today, the Afghan and international forces continue fighting together to stop terrorists and violent activities of armed groups. With all the important steps taken throughout the course of the year, and with international support, my government is prepared to intensify efforts and work together to launch the transition process.Â We are committed to taking the lead in combat operations in volatile provinces by 2011 and assume full responsibility for security efforts with the support of the international community by the end of 2014. It is a gradual and condition-based process, which relies upon the full support of our friends and partners in helping to build the size, strength and operational capability of Afghan security forces. Afghans know that ultimately, it is the responsibility of our own Afghan forces to defend the country and provide security for our people. Therefore, a new focus on the accelerated training and equipping of the Afghan National Security Forces is vital for security and for a successful transition.Â We hope that at the end of this transition period, the Afghan army and police will be able to take full responsibility within Afghanistan as intended. We have increased the number of National Security Forces significantly. With the help of our partners, we now have approximately 130,000 soldiers and 106,000 police. We plan to increase that number to 171,000 soldiers and 134,000 police by October 2011. The strengthening and development of the Afghan armed forces largely depends on the immediate end to parallel private security structures. Â In the coming years, theÂ Afghan armed forces will require the continued commitment and sustained support of NATO and our main allies and partners. Later this month, a NATO Summit of Heads of State and Government will be held in Lisbon, Portugal. This Summit will be another important milestone in our partnership with NATO. Among the important issues discussed at the Summit will be Afghanistanâ€™s transition strategy. We look forward to continuing to strengthen our relationship with NATO and expect to establish the steps needed for a long-term partnership between NATO and Afghanistan that will endure beyond the completion of NATO’s combat mission. Military strategies alone are not sufficient for the success of stabilization efforts. The peace process necessitates national reconciliation, outreach to the people, and sustainable partnerships with the region and international community. Reconciliation and reintegration of former combatants is critical for establishing peace and security in our country. It is a reasonable and a responsible policy to open the door for reconciling those who would like to join the peace process. We are not only committed to such a policy, but have embraced it through our actions.Â Outreach to the armed opposition has led to their inclusion in peace talks, as an effort for achieving peace and security, while our government and international partners continue to end the armed activities of the enemies of peace and progress. Throughout our reconciliation process, human rights, including the rights of women remain a high priority. Secondly, outreach to the Afghan people is more than a communication strategy. Afghans from all segments of society should be more actively involved in the political arena, and play a role in promoting security, defense and development.Â We must ensure an environment in which all Afghan people feel that they are the masters of their own destinies.Â This will enable them to participate in the betterment of Afghan society. Thirdly, regional cooperation is vital for peace and security in the country. In order to address terrorism, extremism, and narcotic drug production and trafficking, we must have meaningful cooperation and conduct sincere and effective dialogue with our neighbors. Ending sanctuaries where terrorists continue to receive training, financial, and logistical support in the region is a necessary element for eliminating terrorism.Â Additionally, Afghanistan is firmly committed to enhancing economic cooperation in the region.Â We recently signed several trade agreements, which seek to increase bilateral and multilateral trade and create opportunities for prosperity. Afghanistan is a connecting bridge between Central and South Asia and all could benefit from economic cooperation, trade, and investment.Â This role can be enhanced within the new frameworks of regional cooperation based on mutual commitments made in various forms. Essential to our efforts is the continued support of our friends and allies.Â We appreciate their commitments and sacrifices, despite the economic struggles of recent years.Â We aim to work actively together to move beyond todayâ€™s military activities and share our energies for establishing stability and long-term cooperation. While it is important to assess our efforts consistently, we must recognize the progress we have made and the need to allow time for transition to continue in the ripe moments for change.Â The strength of our partnership with the international community is crucial for the stability of our people and the people of the world. The current resolution on the situation in Afghanistan is a reaffirmation of the commitment of the international community for the betterment of our country. We know all too well the seriousness of the challenges ahead, but with the strength from enduring and now overcoming decades of war and tragedies, and the sustained support of international partners, our nation can emerge, united for peace and prosperity. Our continued transition is not only about handing over leadership to the Afghan government, but also transforming our entire national landscape and culture from one afflicted with war to one that is graced with peace.